Imagine how it would feel to wake up on Christmas morning and think Santa has forgotten you? Operation Santa Dudley borough has been running for over 40 years and we take donations of toys, gifts and money, to provide some cheer at Christmas for local children and young people who would otherwise get nothing for Christmas, not even a hot meal. We distribute toys and gifts, fund Christmas meals and parties, to spread a little festive cheer. We have no funding, so rely entirely on lovely local people supporting us. 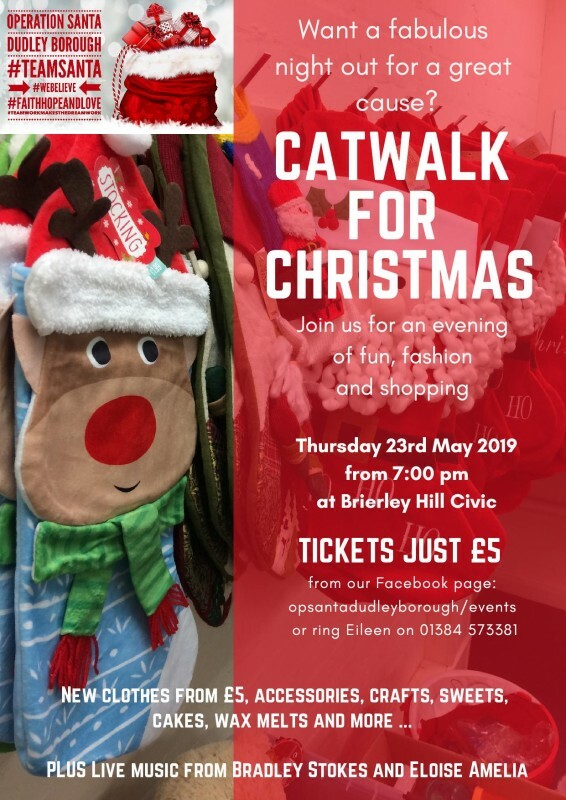 This will be our 2nd Fashion show at Brierley Hill Civic and we are hoping that this one will be even better supported that last years, help us make that happen and bring a little joy to someone less fortunate this Christmas.